Our Stories of Strength review & interview! 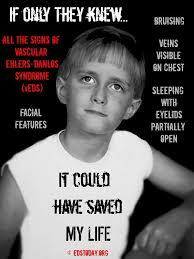 Having a child that was diagnosed with a rare disorder, Vascular Ehlers-Danlos Syndrome, has been a life changing experience. One of the challenging aspects of being diagnosed with it is finding a support system, people with like minds who face similar challenges. We find support in online groups and within our personal family but outside of that, it can feel pretty isolating. Recently a book entitled Our Stories of Strength was released – it too has helped us feel not alone in our journey. Our Stories of Strength is a fascinating book that I hope all doctors, med students, teachers, therapists, and patients with silent disorders pick up. It is a collection of personal stories from patients that are challenged with various types of Ehlers-Danlos Syndrome. 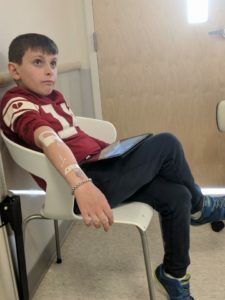 The stories are not depressing but rather show how each patient overcame the difficulties they faced – how they rose above a diagnosis and it’s limitations. The stories are told by children and adults – the editing is spot on, and the photos and drawings make the stories that much more endearing. The book is an enjoyable collection of the strength of human beings in the face of physical and emotional challenges. 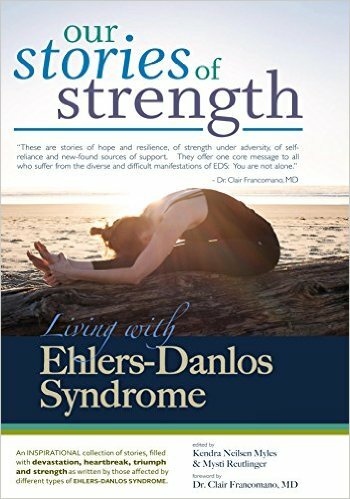 You do not have to have EDS to benefit from this book, it will encourage strength in all who read it. I had the chance to interview the creators of this anthology. Our Stories of Strength – Living with Ehlers-Danlos Syndrome was an idea to share good news stories of those who were living with Ehlers-Danlos Syndrome and who found ways to persevere. Because I sit in the middle ground of volunteer work with EDNF, working in the medical field & also my own personal experience, I felt like so much of what was known to those who were newly diagnosed, was scary, sad and depressing. However, I knew that there were many other stories like mine, stories from so many others who were also living well with EDS and felt like they needed to be shared. I couldn’t help but think that if these stories were shared, that those who were feeling hopeless, depressed and overwhelmed, would feel a sense of hope, strength and determination to persevere. I met Mysti via twitter in May 2104 when I was recruiting for the EDS Ride for a Cause. In July, we had been talking back and forth via twitter and then over the phone. It was one day while sitting in my car in front of my house that I said, “We should write a book!” I suggested that we marry her experience as a writer and my experience working within the EDS and medical communities, as well as our joint passions for health and wellness, and create a book that shared these good news stories that we both knew existed – including our own. In October of 2014, we began working more consistently on our idea, as well as putting together an overall business plan of how to approach the EDS Community. In November, we started recruiting for stories and I asked Dr. Francomano if she would write the forward. In January – Feb. 2015, we launched our website and became more active via social media. We also decided to make Our Stories of Strength a series of anthologies and discussed other titles in this series. In April, we applied for our LLC, while also finalizing all story submissions. We also contacted other people who are community leaders for quotes to include on the back of the book and worked closely with Kristi on refining the cover design. We were blessed to have several people devote their time and experience to this project, including Kristi who also lives with VEDS and is an incredible graphic designer and a professional editor, who helped edit the entire book before publishing. Our deadline was always May, in order to publish in conjunction with EDS Awareness month. The digital version of Our Stories of Strength – Living with Ehlers-Danlos Syndrome was published on May 8th – hitting our target deadline. The print version was published one month later in the beginning of June 2015. In total, we worked consistently for about a year from idea to publishing. We are have been and continue to actively recruit for all 40 titles in the Our Stories of Strength anthology series. What has been the biggest struggle in making this book come to life? Our biggest struggle by far was learning to pace ourselves and learning how to balance pushing ourselves when needed, while also accepting that as long as we are taking baby steps, we were still moving forward. To look back and remember all that we personally went through (taking care of our kids, our own health struggles, other jobs & more), it’s amazing to that we still made our deadline. What have you enjoyed the most about creating this book? Personally, I’ve enjoyed seeing an idea coming to life and validate the very reasons I felt that sharing these stories was so important to our community. I’ve also enjoyed meeting and talking with everyone who submitted and all others who are working to make a difference in our community. We really are stronger together. Do you have plans to create more books? If so, do you have your next one in mind? See question number 2. As of right now, it seems that our next anthologies will be our Gastroparesis, Dysautonomia/POTS and Fibromyalgia anthologies. 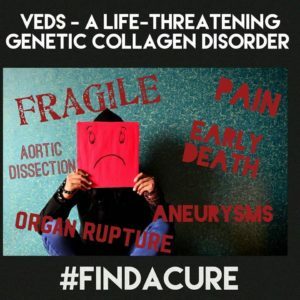 We also have a number of stories submitted for our second living with Ehlers-Danlos Syndrome anthology; however, we would also like to do an anthology focused on Vascular Ehlers-Danlos Syndrome. With each anthology, we partner with a non-profit within that community and we have activity been in discussions with people within the various chronic illness communities that we are recruiting for (i.e. thyroid, chronic pelvic pain, chronic pain with kids, mast cell activation disorders, etc.). What was your biggest influence/support for your book? For me, my biggest support and influence has been all those who I’ve worked with within the EDS community, my own children and the physicians who devote their lives to caring for us. Dr. Francomano has been a huge sense of support for me for a number of years, as has Dr. Streeten from University of Maryland, Dr. Pocinki & recently, Dr. Afrin. Shane and Lauren at EDNF have also been incredibly supportive over the years. And of course, I couldn’t do any of this without the support of my husband. He’s never questioned anything that I’ve done, why I want to do it and the importance of it. I’ve also been blessed to be included in other EDS projects – both healthcare providers and other members of the broader EDS community. Have you heard positive feedback from readers about your book affecting their lives in some way? I would imagine that you will hear some of that as your stories are inspirational. Yes and Yes! We’ve received incredible feedback from those within the EDS community, those who submitted stories, those outside of the community and from various healthcare professionals. It’s been quite humbling. If you won the lottery tomorrow and suddenly were $5,000,000 richer, what would you do with your money? Not look at my bank account for a year and have someone else manage it. 😉 I would take a huge deep breath and continue to do all that I do now, only from living somewhere near the beach. For me, money isn’t about quitting work, it’s about being able to do what you love and love what you do every day. 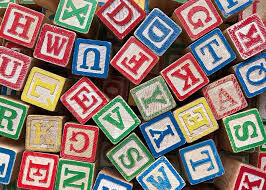 Working provides purpose, direction and a sense of responsibility — all things I think are crucial for children to learn as they grow up. Life isn’t given to you – it’s earned. No one owes us anything and one thing I’ve learned that is that, you can never take anything for granted. Anything an happen. Anything, to anyone and at any time. Our Stories of Strength – Living with Ehlers-Danlos Syndrome is NOW AVAILABLE! Or, visit sfheds.com for the latest on living a healthy and active life with EDS.